Look, 9-String NUs! Are you ready? Take note of the custom string spacing for the Neck and Bridge pickups. These guys will be installed in a custom 9-String Strandberg with radical multiscale slants going up to 25° for the bridge pickup. The Neck pickup is a Nu-Duo, while the bridge pickup is a Nu-Multi. You’ve been waiting for this, and so at long last, the Nu Multis as well as the Duos are ready for release (to be announced). Initial production run will be very limited to just 10 sets (including the internal breakout). 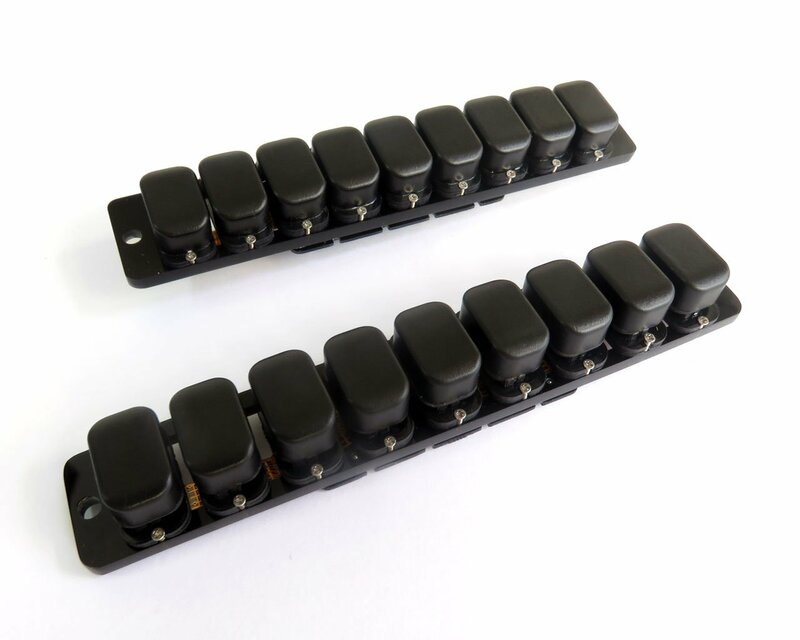 One quick observation: I just realized, while looking at the pic, that a multiscale, angled multichannel pickup at the bridge should improve crosstalk even more because the actual capsules are spaced farther apart.